Welcome! 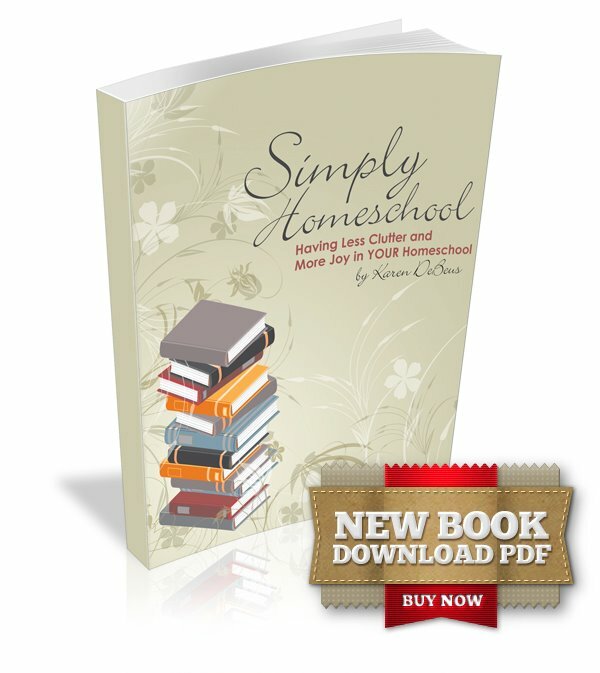 Have you subscribed to this blog yet? 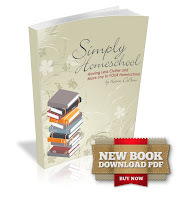 You will be encouraged to simplify all areas of your life… straight to your email! Subscribe here! I am so excited to share this with you. 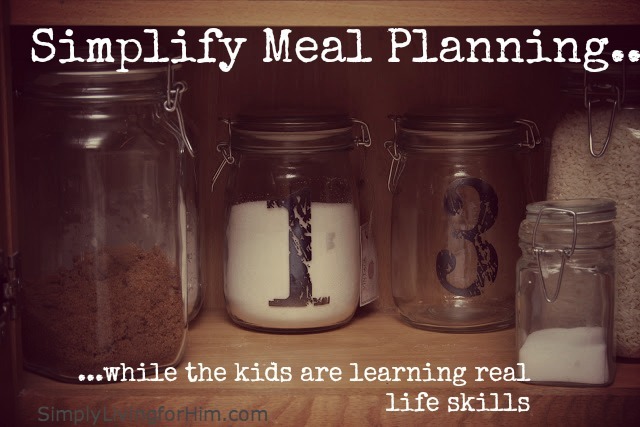 I had a reader write me and tell me all about this God-given idea for simple meal planning that is also teaching real life skills. I just love it! She did not want to be credited but wanted the idea to be credited to God alone! What an awesome testimony of God’s hand in all the details of our lives. First of all, everything involved with making meals was not fun for me. Coming up with the ideas was very hard. And I had to do it three times a day, every day, every week, every year. Then to top it off, I can’t stand shopping. Cooking was not fun either for me. I want everything to be healthy for my family, but I love junk food type eating. Every meal was drudgery. I wanted to do the right thing, take good care of my family, make our meals pretty and tasty and healthy, on time (as we eat our meals together), and stay in our budget. Add to that the dishes that needed washing at the end of the meal (we don’t have a dishwasher), and I did not look forward to time in the kitchen. I finally prayed about this problem. God gave me a fantastic idea. Praise HIM!! He is so good to me. I have two children. Each of us has two days we are responsible for. A bigger family could work on a two-week or monthly schedule. We then go to the bank and get out $30 each ($15 per day). They see me taking money out of the bank every week. We go in so they can see me interact with the teller, and they watch as she takes my ID and fills out slips of paper and hands me the money the way I request it (6 tens and 6 fives). Sometimes they ask questions about what they saw and then real-life learning takes place. We put our $30 in each of our own envelopes. Then we get a free cookie our bank offers on the way out. It’s a good time. I can see more learning taking place at the bank in the future by letting them fill out the withdrawal slips and making the actual transactions with the teller. Now, comes the part my children really like and where a lot of learning takes place. We go to the grocery store. We each get our own cart (but usually they like to share a cart and divide their piles onto their own side of the cart.) Trying to practice Masterly Inactivity, I sometimes watch them make a poor choice or obviously overspend their budget, but I keep it to myself. The mistake will soon appear to them, then we can work on how to fix it or make better and healthier choices the following week. -My youngest child has asked to carry a calculator in the store and tallies up purchases as they are placed in the cart. (This is exciting because I don’t allow them to use calculators at home.) This has stopped the overspending and finding out in front of the casher with someone else waiting behind us. -My children have learned how to interact and exchange money with different cashiers, as we each check out one at a time doing the whole transaction on our own. Then the best part for me is about to happen. Going into the kitchen (did I just say that?). Praise God for this plan, because I can say that. We each put our groceries away where they go. (One tip is for each of us to have our own area for our special ingredients in the pantry, so my oldest child doesn’t “shop” in there and use it in meal planning.) Then we each take care of preparing the meals on our own day. Most of the time, we’ve made it a surprise and no one else is allowed in the kitchen. We do it up with great presentation to impress Daddy. Oh, the learning that is taking place in the kitchen is abundant as measuring, direction following, using the timer, mixing ingredients in certain order, kitchen safety, and trying creative inventions is happening everyday. We’ve had quite an interesting variety of meals, too (spaghetti with mashed potatoes and gravy for one. 🙂 Daddy loves it. (We are actually spending less than we have in many years on groceries and staying within a budget. The extras that are necessary to run a house are budgeted in a separate envelope and purchased as needed.) Everyone is happy and excited and guess what… I only have two days a week I’m responsible for. So, now making meal plans is much easier, way more fun to prepare to impress, and the children are learning so much. And just to end the day so much more enjoyably than in the past, the whole family cleans up the kitchen, and we do the dishes together. My husband likes to wash, and the children and I dry and put away. Thanks for reading this and thanks to God for answering my prayer better than I could have thought or imagined. 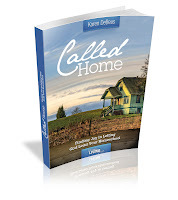 Called Home: Finding Joy in Letting God Lead Your Homeschool Available for PDF download or Kindle at Amazon. com just $0.99!